Pericytes are skeletal muscle resident, multipotent stem cells that are localized to capillaries. They respond to damage through activation of nuclear-factor kappa-B (NF-κB), a transcription factor that regulates many cellular processes including inflammation. Research has shown that pericyte NF-κB activation positively affects myoblast proliferation. It is unknown how pericyte NF-κB affects signaling and proliferation of endothelial cells, an important component of muscle tissue microcirculation. PURPOSE: To determine the effects of altered pericyte NF-κB activity on endothelial cell proliferation and identify inflammatory factors involved in this cell-cell signaling. METHODS: Human primary pericytes were transfected with vectors designed to increase or decrease NF-κB activity (or empty vector control). Transfected pericytes were co-cultured with human microvascular endothelial cells (HMVECs) using transwell inserts. HMVEC proliferation was assessed via cell counting at 24 and 48 hr. Secreted cytokines in cell culture supernatants were screened using a Luminex multiplex assay. RESULTS: HMVEC proliferation was greater in the increased pericyte NF-κB activity condition compared to the decreased NF-κB condition at 24 and 48 hr (1.3 fold, p=0.002). At 24 hr, cytokine secretion was greater in the increased NF-κB condition compared to control and decreased NF-κB conditions for 14 cytokines, including interleukin-8 (IL-8; 6.4 fold, p<0.01), monocyte chemoattractant protein-1 (MCP-1; 4.4 fold, p<0.01), and regulated on activation, normal T cell expressed and secreted (RANTES; 10.6 fold, p<0.01). CONCLUSION: NF-κB activation in pericytes caused increased HMVEC proliferation, which may have been mediated by proinflammatory and proangiogenic cytokines known to be under the transcriptional regulation of NF-κB. 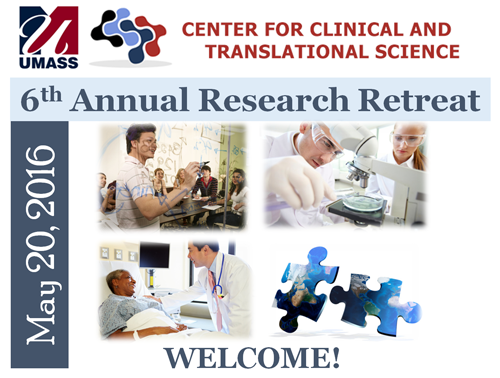 Abstract of poster presented at the 2014 UMass Center for Clinical and Translational Science Research Retreat, held on May 20, 2014 at the University of Massachusetts Medical School, Worcester, Mass.